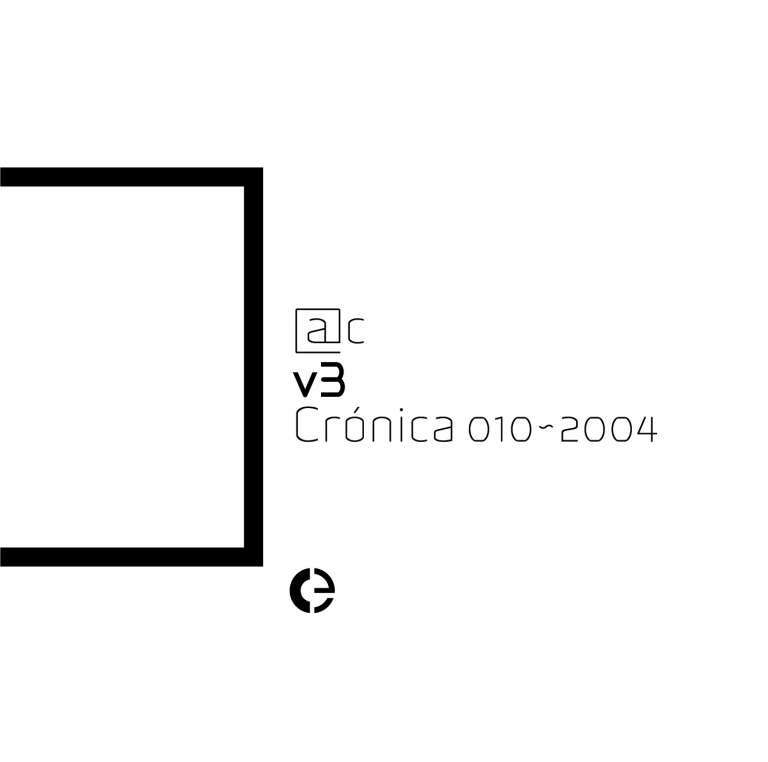 v3 is @c’s third full length release and their second in Crónica. This CD portrays @c’s activity during 2003, focusing on excerpts of 3 performances from later in the year. These 3 performances were especially relevant as they joined more guest collaborations. At the EME festival, in Palmela, Portugal, organized by Vitor Joaquim, @c + Lia performed in a quintet, with guitarists Manuel Mota and João Hora on the 5th of October. In London, on the 27th of November, at the Atlantic Waves festival, organized by the Calouste Gulbenkian Foundation, @c + Lia performed with the drummer Andy Gangadeen. The next day, in Huddersfield, at the Ultrasound festival, a new quintet, with Vitor Joaquim, a regular guest of the project. The recordings of these 3 performances were compiled, edited and (re-)mixed by @c and are now presented in a further chronicle of the project.